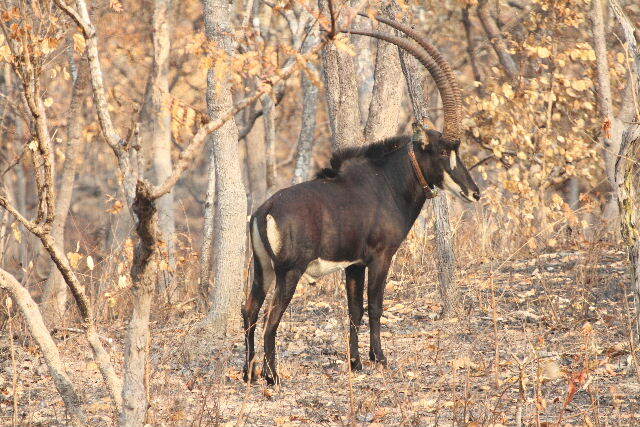 Coming on October 25 to the Angola Field Group at the Viking Club, a presentation about the Giant Sable (palanca negra gigante) with Pedro Vaz Pinto who will update us on the events surrounding this endangered species found nowhere in the world but in the province of Malange. More details to follow soon! Visit our Giant Sable page to read Biologist Pedro Vaz Pinto’s latest reports with photos from Cangandala Park, in English and Portuguese. Giant Sable bull profile, from Pedro Vaz Pinto’s October 2010, Second Trimester Report.